When a customer of yours which is a company becomes insolvent, getting your goods back from them, if they have not paid you, can prove to be a headache. However, if you put in the preparation work with your terms and conditions of sale, then you stand a greater chance of seeing your goods returned to you in such a situation. 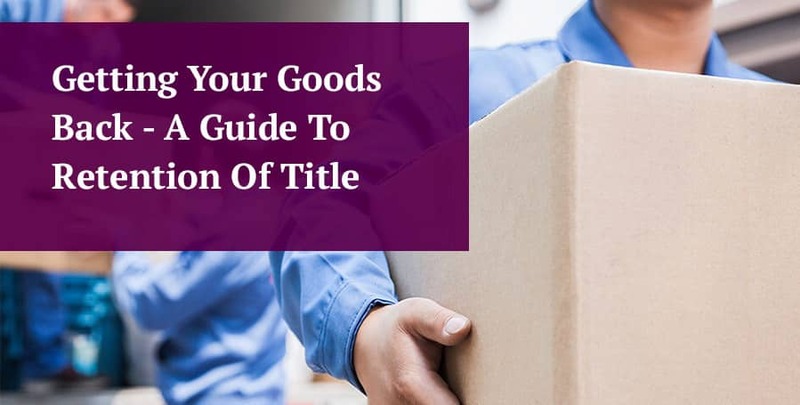 This article looks at what you need to cover in your terms and conditions of trade in order to give you the best chance of recovering goods that have not been paid for – a “retention of title” clause. Please note that retention of title clauses are not generally appropriate where you are selling goods to a consumer, as they are often seen as overly aggressive (even where the consumer has not paid you!) and would probably be deemed to cause a significant imbalance in the parties’ rights and obligations under the contract, to the detriment of the consumer. Therefore, the focus of this article is the inclusion of these clauses in contracts when you sell B2B (business to business, as opposed to a business selling to a consumer, B2C). What are Retention of Title Clauses? A retention of title clause is a clause that goes in the terms and conditions of sale where goods are being sold. The clause protects the seller in the event that the goods are not paid for. It provides that title or ownership of the goods does not transfer to the customer until they have paid for the goods and, as such, it gives you a legal right to recover the goods if they are not paid for. If the worst happens and you think that you won’t get paid by that customer now, then the next best thing is to recover your goods, so you can try to sell them to someone who is able to pay for them. It is most common for a retention of title clause to be relied upon when the customer has become insolvent and that is the reason for non-payment. On the other hand if the company is solvent still but has not paid for the goods in question, then you can recover the goods – but don’t forget that generally a claim for payment of the debt is preferable with a solvent customer, as it includes your profit on the sale. With a solvent customer and a retention of title clause, it gives you the two options: sue for payment or recover the goods (and with the latter still having the right to sue for your lost profit). Having choices is always better for you when trying to find a solution to a problem. While it is common for contracts to cover retention of title, the clauses are not always effective. A clause that ensures the title of goods does not pass to the buyer until payment is made can be fraught with difficulties, and often difficult to enforce. This can, in part, be due to the nature and wording of the clause itself. Therefore, if you have a watertight clause within the terms and conditions of sale, then the goods in question will not form part of an insolvent estate, and therefore are more likely to be returnable to you, rather than used to pay off other creditors. With an effective retention of title clause, the insolvent company will have to allow you to recover the goods, even though they are on the insolvent company’s premises. This is the solution you are most likely to be seeking. Therefore, ensuring that your contracts adequately include a carefully-worded retention of title clause is invaluable. Before looking at this process in more detail, take a look at our list of main points to consider. These main points will ensure you cover everything required to ensure the recovery of your goods, following the insolvency of your customer. 1. Nature of the Clause: Depending on the nature of your operations, you need to consider whether a Basic or All-Monies clause is most applicable to your specific sales transactions. With a basic clause, your buyer does not take over title of the goods until they have paid for those specific goods: it is an item-by-item arrangement. In an All-Monies clause, your buyer does not take over title of any of the goods until payment for all goods then pending has been received in full. If you are receiving repeat orders from regular customers, then the latter type of clause should be the better solution for you, as it puts you in a stronger position, having more goods potentially available for recovery. This larger pool of goods enables you to (a) take back the goods that have not been paid for and (b) also take some other goods (that have been paid for) – you can take some of them in order to recover the value of the lost profit on the sale. That way you make full recovery of the goods and the lost profit, without the need to sue the customer in the courts. 2. Preservation of Goods for Repossession: Ensuring that your goods can be easily identified on the customer’s premises, in the case of repossession, will require the contract to include provisions to the effect that your goods are separated from other goods supplied until payment is made, although in practice this is very difficult to enforce. Additionally, you can ensure the labelling and packaging of goods is clear, consistent (identifying them as having been supplied by you), and to be preserved by the customer until payment has been made. It is also worth having something highly identifiable that is integral to each item which demonstrates it is uniquely supplied by you if this is feasible. 3. Buyer’s Right to Possession and Termination: You need to ensure your retention of title clause states the circumstances under which the right for the customer to possess the goods that have not been paid for can be terminated by you. The most common scenario to consider is in the event that the buyer becomes insolvent, would you want their right to possession of your goods to cease? Additionally, you may want to ensure the clause terminates the buyer’s right to possession of the goods if they, either intentionally or unintentionally, take steps to give a third party any right to possess the goods, security rights, or proprietary interests. 4. Your Right to Access: Should it be necessary to retrieve your goods, you will need a licence (right) to access the customer’s premises. Without this licence, you may be trespassing, as well as being liable for any ensuing damage in gaining access. Getting this permission is easier if your goods and the terms of the sale are clear from the start. Without this clause, any damage caused in gaining access may be criminal damage. 5. Consistency to the Nature of Your Trading Relationship: The effectiveness of a retention of title clause is related to the nature of your trading relationship. For example, it is likely to be relevant whether the goods are (a) supplied in a finished condition for use by the buyer, (b) purchased in large amounts to be held as stock, or (c) purchased in small quantities for instant onward sale. In the latter case, an All-Monies clause may not be as effective as you had hoped. What Can Cause a Retention of Title Clause to be Void? Retention of title clauses work best when they are specific and limited in scope. Too broad and non-specific, and they will prove useless when it comes to actually putting the clause into action following your customer’s insolvency. Primarily, the clause can become void if it is deemed to represent a charge over the customer’s assets. Charges over companies must be registered with Companies House within 21 days of their creation. If you fail to do so, then the charge becomes void. The consequence is that the clause becomes void. 1. A clause attempting to retain title to the proceeds on onward sales: this action would most likely be considered a charge over the proceeds of sales. 2. A clause attempting to retain title of goods that are joined with others in a manufacturing process: when your goods are combined with others within a manufacturing process, this clause would be deemed as a charge over the end product if you are seeking to retain ownership. When a company becomes insolvent you need to be prepared that the retrieval process can be long and difficult. Commercial return may be minimal, and this should be borne in mind when drafting the retention of title clauses. Your first response, in the event of your buyer’s insolvency, should be immediately to notify the insolvency practitioner appointed over the company’s affairs that you have a claim to retain the title of the goods. Until this notification, the company, under the insolvency practitioner’s control, may continue to use your goods without payment to you. Additionally, the insolvency practitioner has the right to sell or dispose of any goods they reasonably believe belong to the insolvent company. Following notification, you should arrange to attend the company premises in order to identify your goods. 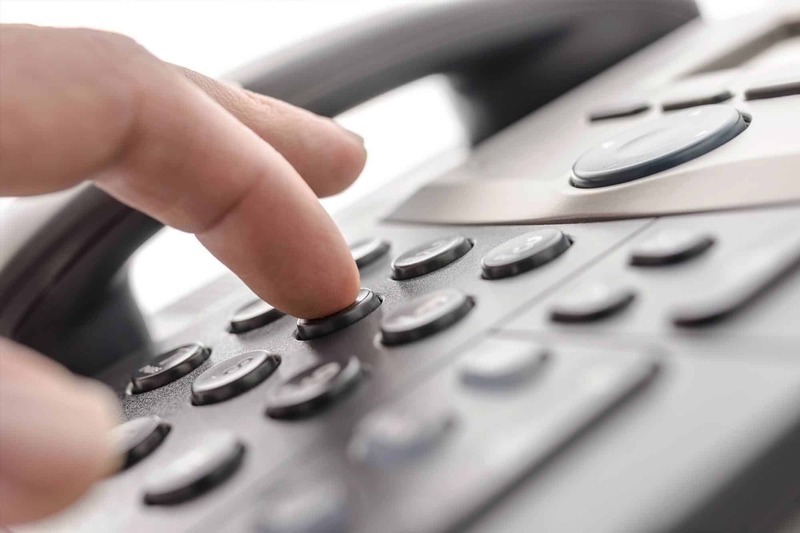 Ensure if you telephone the insolvency practitioner, that all communication is confirmed in writing by you. Notification of claims doesn’t follow a standard procedure, although many insolvency practitioners provide their own claims process, including standard forms and questionnaires. You can eliminate the need for this questionnaire by giving the insolvency practitioner the following information, along with copies of supporting documentation. If you do this when you notify the insolvency practitioner of your claim, then you will help to speed up the process. 1. Details of the Retention of Title Clause: The insolvency practitioner will need to see evidence of express acceptance of your terms and conditions by the insolvent company, or the implied acceptance of the contract as a result of continuing to deal with you (by placing repeat orders). They will also require a copy of the specific clause pertaining to retention of title. 2. Details of the Supplied Goods: The insolvency practitioner needs a schedule of the goods supplied by you to the insolvent company. Where possible you should supply copies of delivery notes or other supporting evidence. 3. Identification of Goods: You will need to state how you intend to identify goods that are covered by a retention of title clause. This will involve outlining details regarding identification labelling or specific design features. Where possible detail the specifics of the goods themselves, rather than packaging details, as these may have, incorrectly, been removed. 4. Specific Goods Belonging to You: You will also need to specify to the insolvency practitioner the specific goods on the buyer’s property that are covered by the retention of title clause. This may require a site visit. It is essential that you provide proof of your claim. This is likely to involve both time and effort and you will stand a greater chance of retrieving your goods if you communicate quickly and efficiently. In some circumstances there may be an immediate sale of assets or indeed the complete business. In fact this may have happened as part of a ‘pre-pack administration’ transaction. In this instance you will likely need to liaise with both the insolvency practitioner as well as the new owner of the business. The normal terms of sale of an insolvent business usually stipulate that the party buying the business and its assets only receives such right, title and interest to the assets as they had at the date of completion of the sale of the insolvent business. Therefore, whilst the new buyer may physically take possession of your goods, they do not have any rights of title that are different to that of the original buyer. In this instance you still have rights to retention of title. A new buyer will likely, as part of the terms of sale of the insolvent business, assume responsibility for settling all retention of title cases. However, in practice this may create a situation where each party (the new buyer and the insolvency practitioner) insists you liaise with the other, and in the meantime the goods are made difficult to identify. This can make the situation difficult and may affect the commercial value of your claim. When a new buyer or insolvency practitioner fails to identify specific items as belonging to specific companies, it can seem tempting to act together with other suppliers for a group return of stock items. However, care should be taken to prevent courts assigning such generic stock to a supplier other than yourself. Don’t forget that the value of your retention of title claim might not equate to the value of the debt. If the supplied goods are only fit for a specific purpose or were customised for a specific customer, the goods may only have scrap value, and therefore your retention of title claim may not be worth pursuing in practice. 1. Identifying Who “Converted” the Goods: In the immediate aftermath of insolvency, a detailed inventory might not have been made, especially in instances where retention of title claims are likely, or their value is deemed to be of small consequence for creditors. It can be easy for disputes regarding the goods’ delivery and existence to occur. Therefore your holding detailed records of the exact type and look of goods supplied, together with delivery notes, are essential. 2. Identifying Which Goods are Yours: You will need to demonstrate exactly which goods are yours in a specific, not a general, sense. Additionally, you will need to demonstrate that these were in possession of the solvent company at the time that the insolvency happened. You are likely to discover that the items have been misplaced, sold on or used by the time you mount your claim. This is a very difficult point to prove unless you are readily able to locate your stock in the customer’s warehouse. The onus is on you to provide the evidence of the retention of title claims, and, even then, you may come up against obstacles. Therefore, you must ensure the retention of title claim is detailed, specific and evidence-based right from the beginning, in order to maximise your chances of success following your customer’s insolvency. Sale of goods only B2B. As noted at the start of this guide, such clauses are not generally appropriate for inclusion in contracts where you are selling to consumers, so our terms and conditions templates for B2C sales do not include them.